‘Pride flags fly in Jerusalem 2day, in which other Middle Eastern capital wud u c dat,” wrote Venesa Carmel on Twitter. Other writers agreed. “Tis the season to be jolly- gay pride in Jerusalem” wrote one, with pictures of the rainbow flag fluttering next to the Prima Kings Hotel. The parade, postponed due to the Gaza war, was festooned with colorful flags, hats and shirts as it snaked its way from Jerusalem’s Liberty Bell Park to Independence Park. Organizers estimated around 2,000 to 3,000 people attended. The route was different and shorter than previous years. “We tried to make this parade as a more community-oriented event; we didn’t invite politicians or march to the Knesset,” explained Jerusalem Open House board member Roi Grufi, who has been in six of the previous parades. There was much less noticeable tension with the haredi (ultra- Orthodox) community than in the mid-2000s. “I think it has become more and more rooted in Jerusalem,” says Grufi. 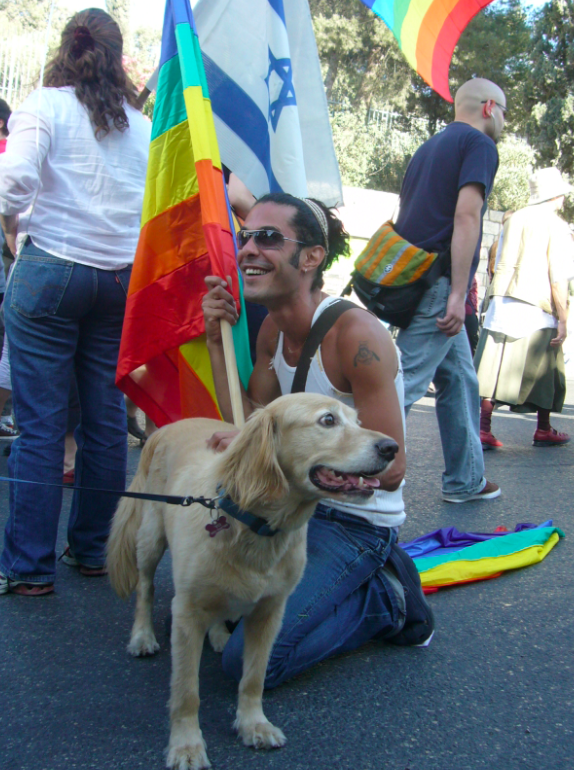 “It is more part of the city, we are changing as a city, becoming more open minded and tolerant.” But he admits that he wouldn’t go hand in hand in public usually with his husband, and the parade eschews the flamboyant floats typical of Tel Aviv. Fifteen-year-old Einat, who came to the event with several friends says she thought it was “cool” and a great environment. As a bisexual she was impacted by seeing transgender participants. “There were men in dresses and this was comforting; they were so confident and open minded… they reminded me how important it is not to be shy and be proud of who you are.” Although she felt high schools in Jerusalem don’t provide enough teaching towards tolerance of gay people, she hopes that she can take the lessons of the parade and work to support the community in Jerusalem in the future. Turkey elections: Are they really a “setback” for the ruling party?